WorldVeg Vegetable Breeder Derek Barchenger (left) with Nakarin Jeeatid from Khon Kaen University, Thailand. 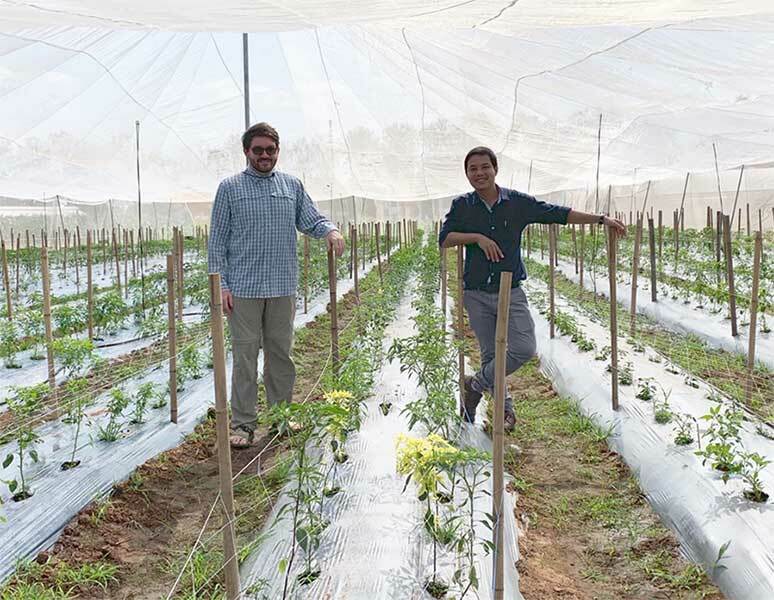 They crossed paths early in their careers as young chile pepper researchers at New Mexico State University (NMSU) in the USA. Fast forward a few years, and today, Derek Barchenger of the World Vegetable Center (Taiwan) and Nakarin Jeeatid of Khon Kaen University (Thailand) are working together again—but this time in a different location and on a different project: to identify sources of resistance to pepper yellow leaf curl disease (PepYLCD) in Thailand. Derek was a PhD student and Postdoctoral Scientist at NMSU from 2014 to 2017 and worked with Dr. Paul Bosland on Phytophthora capsici resistance and identification of Restorer-of-fertility genes. During 2014, Nakarin was a visiting scholar in Dr. Bosland’s lab and studied the effect of genotype and environment on capsaicinoid production in Capsicum chinense. PepYLCV is a member of the genus Begomovirus (Geminiviridae) transmitted by whitefly (Bemisia tabaci). Begomoviruses are likely the most devastating pepper-infecting viruses, especially in tropical and subtropical regions. 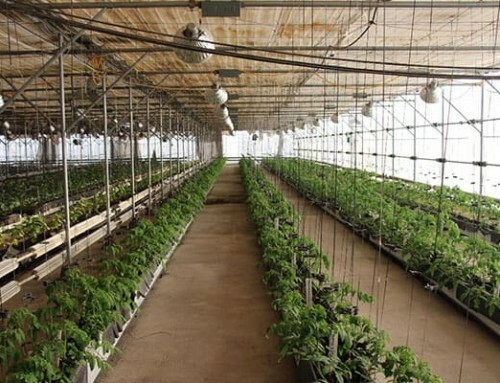 In some hotspots for the disease, losses of 100% have been reported, and farmers have switched from growing high value chile pepper to low-return crops such as maize. 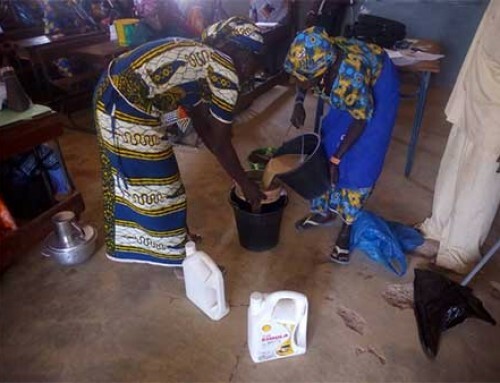 Applying insecticides to reduce whitefly populations is the most common method to manage begomoviruses. 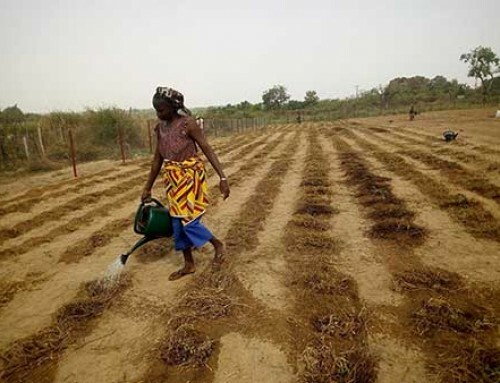 However, the use of insecticides is only partially effective, costly for producers, and represents a hazard to farmers, consumers, and the environment, while limiting export potential through presence of pesticide residue on the pepper fruit. Insecticides are often ineffective because transmission of the virus occurs when whitefly probe the plant surface prior to feeding, before the insecticides can take effect. Every year new virus species are identified, the result of genetic recombination, the acquisition of extra DNA components, and the synergistic interaction among different begomoviruses. 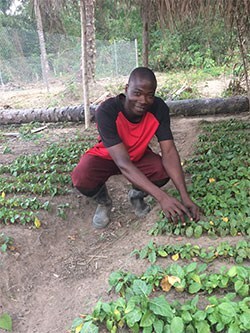 Researchers use artificial inoculation techniques to identify durable sources of resistance and breed resistant cultivars. Several methods exist, including microinjection of infectious clones, agroinoculation, grafting scions onto infected rootstocks, and inoculation with infectious whitefly. 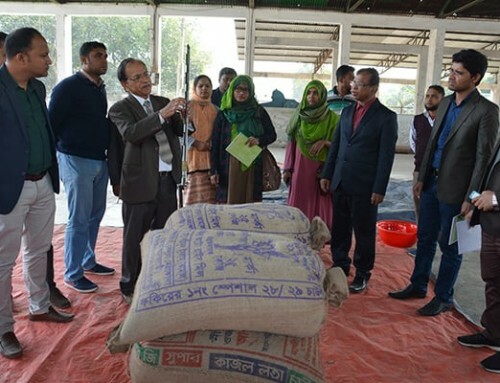 While expensive and technically challenging, the method of inoculation using infectious whitefly is widely believed to best represent resistance in crop production settings, and thus resistant sources identified through this practice are more likely to be durable in farmers’ fields. Derek and Nakarin are screening 100 breeding lines and Capsicum germplasm accessions, including several wild species using the infectious whitefly inoculation technique in two locations: Khon Kaen University and the WorldVeg East and Southeast Asia Research and Training Station in Kamphaeng Saen, Thailand. 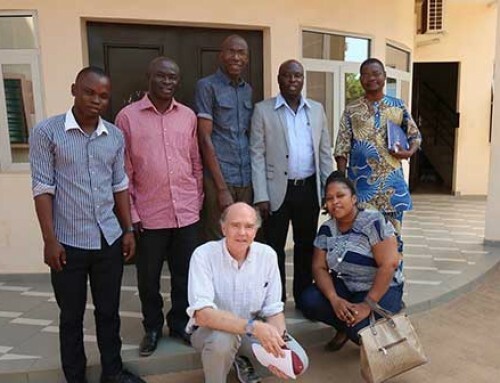 The project to identify stable sources of resistance to PepYLCD is funded by the World Vegetable Center Innovation Fund. Preliminary results are promising with several accessions being highly resistant at both locations. The experiment will be completed in April 2019. 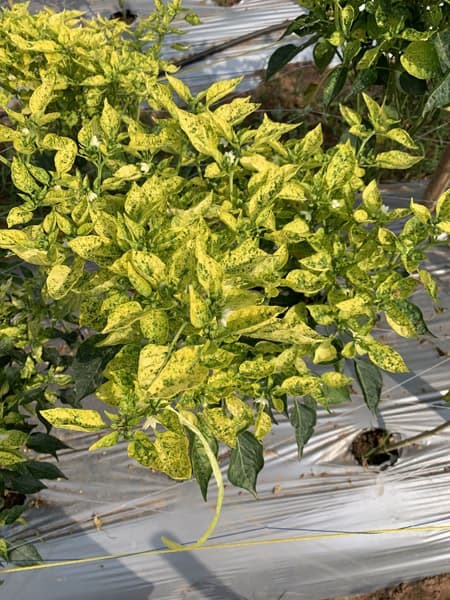 Yellow mottled leaves are a tell-tale symptom of PepYLCV. 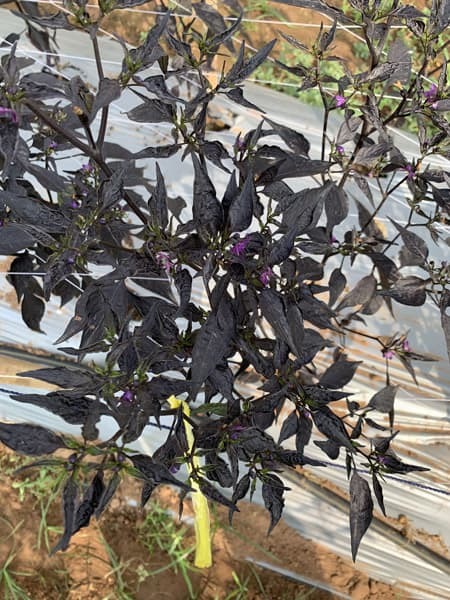 This purple-leaved chile pepper may be resistant to PepYLCV.